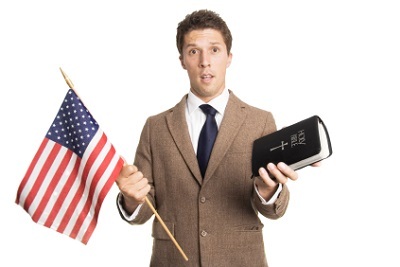 Would You Join a Christian Political Party? Identifying yourself as a Christian Democrat, Republican, Libertarian, etc. is an attempt to fit your religious beliefs into the mold of an existing party with a longstanding political philosophy. The First Prayer in Congress with George Washington, Samuel Adams, John Adams, Patrick Henry etc. The day is now, when public officials should answer to the Constitution and the people. Or as the alternative, they will eventually answer to the People’s Unregulated Militia. Many Christians believe that the highest calling God has placed on us is to be nice. These Christians are wrong. God has not called us to be nice. Rather, he has called us to be good. Here’s the difference: nice people never confront evil. Good people do. Nice people are weak. Good people are strong. 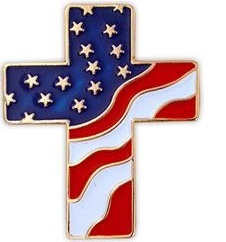 The Christian Political Party is an independent, non-denominational Christian Organization with supporters in all 50 states and the District of Columbia. We come from different religious, political and philosophical viewpoints, but we share a common commitment that religious groups need to speak out on political and social issues. As a nationwide political movement we’re dedicated to the foundation on which America was built – a foundation which, in recent years, has been seriously attacked and undermined. In accord with what was so accurately stated by George Washington, “the propitious [favorable] smiles of heaven can never be expected on a nation which disregards the eternal rules of order and right which heaven itself has ordained. . . Continue reading at: About Us. America, land of the free and home of the brave, once a nation that stood for the freedoms of the people and once a land after Gods own heart, is suffering. Today, it is a nation plagued by sin and oppressions of the rights our Founding Fathers fought and gave their lives for. Our government has legalized the murder of babies and made homosexuality not only acceptable, but also legal and encouraged. They have made it wrong for us to discuss our religious beliefs in public and to stand on the beliefs we hold in our heart. People find the Bible offensive, God’s message unacceptable, and the church a home of haters and hypocrites. But why? Why has our nation fallen so far from the values and beliefs it was built upon, and why are those very beliefs hated now? The answer is us. . . . Continue reading at: Turn Back To God, And He Will Turn Back To Us. The United States of America is a Constitutional Republic founded upon Judeo-Christian principles. 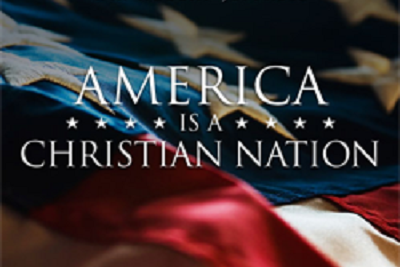 Modern claims that America is not a Christian nation are rarely noticed or refuted today because of the nation’s widespread lack of knowledge about America’s history and foundation. 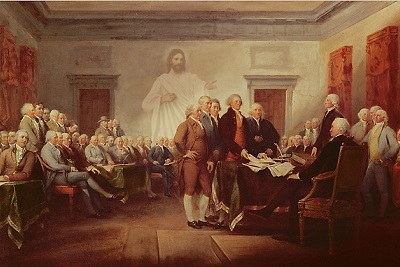 It can be easily demonstrated that a very high percentage – in fact, the overwhelming majority – of Founding Fathers were Christians, but certainly not all of them were. 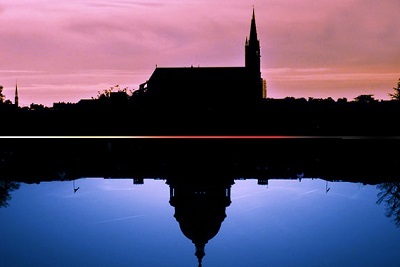 Separation of church and state” currently means almost exactly the opposite of what it originally meant. 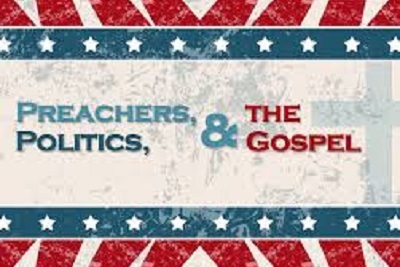 Whether the church incorporates politics in its sermons or risk losing tax-exempt status. Christianity has always been the dominant religion of the land. 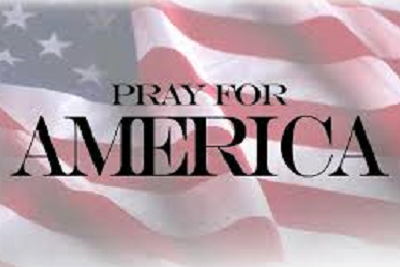 Pray for America starting tonight and every night to come. In a Constitutional Republic, there is no right nor left, no far right, no far left; there are only those who believe in our form of government, as established, and those who do not. Those who do not are simply traitors, or ignorant followers of traitors. Continue reading at: Enemies Of The People and It’s Right To Dislike Traitors. 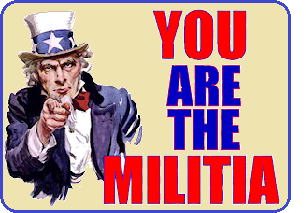 You are the Militia in accordance to the Constitution of the United States. The government is taking your wages, taxing your property, monitoring your speech, tracking your location, restricting your travel, controlling your healthcare, and can now assassinate you without charge or trial anytime it wants by simply calling you a terrorist. As such, you should ask yourself who is going to stand up and defend your liberty from an ever growing tyrannical government? Not the politicians, for many of them are working together with the perpetrators. 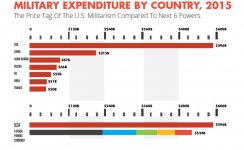 Only the Militia is empower by the Constitution of the United States to protect the people from the government. . . Continue reading at: You Are The American Militia. Providing relevant, accurate and honest news about Faith, Family and Country. Is a Christian in the White House a Negative? What If Jesus Had Been Born 2,000 Years Later in the American Police State?